Global Manager Group Launches New Website for ISO Documentation Solution in USA. By the launch of this new website Global Manager Group aims to offer complete ISO California, Louisiana, Missouri, Connecticut, Ohio, Pennsylvania, Virginia, Nebraska, Texas, Wisconsin, South Carolina, USA and Canada for easy iso certification. By this website company allowed their global clients to purchase ready-made editable ISO documentation kit, ISO awareness as well as ISO auditor training presentation kits with secure online transaction. 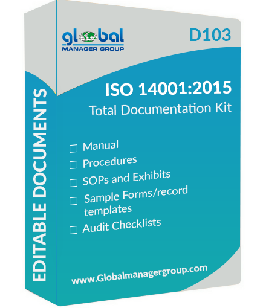 Also in this website GMG has allowed their clients to purchase partial documents kits like ISO manual, iso procedures, iso sop9001, iso 14001, iso 17025, ohsas 18001, iso 22000, iso 27001, iso 50001, brc food and packaging standard, CE mark and many other integrated management system documentation kits as well as management training presentations kits in area of Quality Management, environment management, health and safety management, food safety management, laboratory management system. ISO documents are used as ready reference tool for all types of organizations in Georgia, Florida, , iso work instructions, iso filled and blank formats, editable iso templates and iso audit checklist for all iso standards like iso 9001, iso 14001, iso 17025, iso 22000, iso 27001, iso 50001, ohsas 18001 and brc global standard for food and brc iop standard at very competitive rate with free demo download. Global Manager Group is a world class ISO consultancy and management training company. It is a progressive company promoted by a group of qualified management graduates possessing 20 years of experience in ISO consultancy and management area. Global Manager Group is one of the proffered ISO consultancy service in ISO 9001, ISO 14001, ISO 17025, OHSAS 18001, ISO 22000, ISO 27001, ISO 50001, HSE, IMS, QMS, EMS, EnMS, 5S lean manufacturing, six sigma and BRC for food and packaging etc., global management standards. Global Manager Group crossed the benchmark of the number of global clients over 1200 in 65 countries, which has purchased the editable ready-made iso documents and iso training presentation kits.